The Secret To Radiant Skin? Having a radiant skin every day is not a distant dream for the women anymore. You needn’t maintain a specific lifestyle or strict regime. 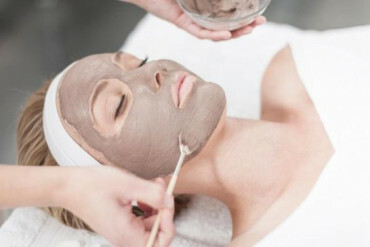 The secret of the glowing skin of most of the woman whose glowing and flawless skin you admire is Chemical Peel Facial. Shailly Hair & Beauty is offering you beauty services such as Oxygen Facial in Brisbane, Shahnaz Herbal Facial in Brisbane and Chemical Peel in Brisbane. 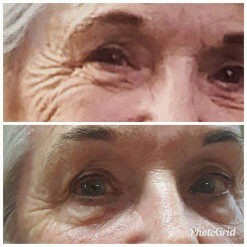 Face Lifting in Brisbane, that we are offering, gives you a beautiful skin but also help reduce signs of ageing like wrinkles and fine lines. Defying the belief that chemicals aren’t good for the skin, we are also offering Skin O2 Make-Up in Brisbane and Skin O2 Skin Treatment in Brisbane. O2 Make-Up oxygenates the skins and gives it a new glare. Chemical Peel Facial easily removes the blotchy patches on skin, which are otherwise tough to remove. The Peel penetrates deep into the skin to remove the patches. Chemical Peel Facial In Brisbane is a professional cosmetic service, which is highly acclaimed for its effectiveness in removing all types of blemishes. The Chemical Peel Facial gives you the power to say no to sun damage, which causes wrinkles and fine lines. The layer of skin affected by sun damage is easily removed with the Chemical Peel and leaves behind smooth and youthful skin for you to feel good. Chemical Peel Facial helps in your acne treatment program can do wonders to your skin. It includes medium peels like glycolic acid peels, which are suitable for sensitive acne-infected skin. A few sessions of this treatment can help you get rid of acne related inflammation and scars. An integral part of Chemical Peel treatment is phenol acid peels, which can easily turn the skin lighter and also reduce fine lines. When the upper layer of tanned skin gets removed, the lighter complexion surfaces. One of the biggest attributes of Chemical Peel Facial is that you get to see the results in just few days and sometimes the effects can appear right after the treatment. As we all know, it can be really difficult to hide age spots under make up. The peel helps reduce pigmentation, wrinkles and fine lines. It has been suggested by almost every cosmetologist that when Chemical Peel Facial is combined with Face Lifting Treatments, the results achieved are impeccable. Facial has been a part and parcel of the aesthetic industry since a very long time. 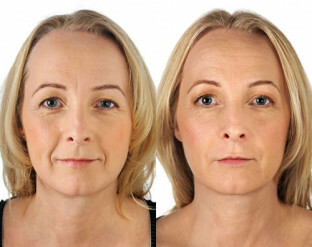 It has emerged as the most preferred cosmetic procedure among women for getting back the glow on their faces. For a dramatic change, you can look forward to Shailly Hair & Beauty Salon offering Skin O2 Skin Treatment in Brisbane, Chemical Peel in Brisbane and Face Lifting in Brisbane as well. Restore the loss of volume and get your face sculpted like your days of youth with our assistance. Shailly Hair and Beauty offers excellent Face Lifting Treatments In Brisbane. Our Face Lifting Treatment is ideal for carving your face and cheeks and rehydrating the skin, so that you look young and fresh all over again. We make use of safe dermal fillers or collagen-stimulating products in the Face Lifting Treatment so that you restore your beauty with no loss to your skin and health. Skin O2 is a beauty and skincare brand that offers products & services according to the particular needs of various skin types. We at Shailly Hair and Beauty offer attractive Skin O2 Makeup Services In Brisbane that is sure to add a glow to your face. Unlike established beliefs, Skin O2 Makeup does not cause intense damage to the skin, so you can rely on us to give you the perfect makeover. Shahnaz Herbal Facial includes various kinds of kits that Shahnaz Herbal Offers. The Shahnaz Herbal Facial packs are specially designed formulations to help hydrate all skin types and improve the skin texture, while reducing the ageing effects. The Shahnaz Herbal Facial that we offer In Brisbane is sure to help soften the skin, making it brighter, revitalized and more refined.